Will entrepreneurs solve Egypt's problems? Unemployment, economy, industry - entrepreneurship is expected to fix a variety of problems. But are they able to do so in Egypt? <p>Even though experts put high hopes on entrepreneurship to bring the country’s economy back on track, it does not seem like startups will help with solving the unemployment problems Egypt is facing. About 13.5% of Egyptians are unemployed, but early-stage enterprises are most likely to either be consumer-oriented or very small, i.e. employing fewer than five workers and expected to create 5-19 jobs in the coming five years. The trend is capital-intensive rather than labor-intensive. 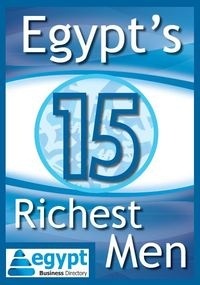 Moreover, almost 40% of Egyptian discontinued businesses did so because the business was not profitable. <p>Egypt has one of the lowest business discontinuation rates compared to other factor-driven economies, according to report.